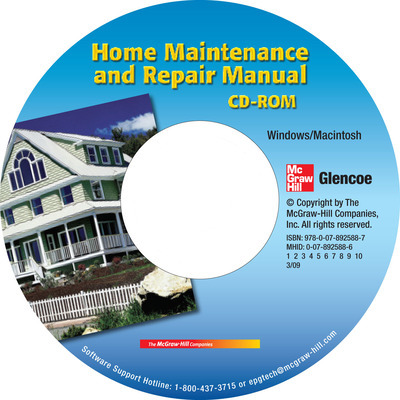 The Home Maintenance and Repair Manual CD-ROM contains illustrated activities and how-to guides for key tasks related to repairing or remodeling a home. The content is completely up-to-date with industry standards. Guides can be viewed on screen or printed out for easy reference when working on a project. Floors, walls, ceilings, painting, tile, roofs, bathroom and plumbing, and energy conservation are among the topics covered.